The Department of Modern Languages and Cultures is delighted to announce that 72% of our publications have been classified as 4* (world-leading) and 3* (internationally excellent), while 90% of our environment submission has been rated 4* and 3*. Research in Modern Languages and Cultures at Liverpool is characterised by our wide-ranging interests in the national and global dimensions of language-based study, including a focus on France, Germany, Italy, Spain and Latin America as well as other Francophone, Hispanophone and Lusophone cultures and societies around the world. Collaboration and engagement strongly underpin our activities, with researchers beyond our own department and disciplines, with our many cultural partners (especially Merseyside Museums) and in our interactions with non-academic communities. Distinctive public-oriented events include poetry readings with practitioners and audiences in Spain, a major exhibition in France in association with the multinational Tata Group, and a series of Holocaust-related events in the UK and Germany designed to enhance understandings of the sources and consequences of racism. For more on the University of Liverpool REF2014 results, click here. Sizen Yiacoup (IBLAS) spent three days lecturing at the Universidade Nova de Lisboa last month having been awarded an Erasmus + Staff Mobility grant to teach a guest slot on her research specialism, medieval Spanish poetry, on the Nova’s undergraduate and postgraduate modules in Traditional Literature. The visit led to an invitation to return to the Nova in future sessions and to collaborate in teaching and research projects with the Head of the Department of Portuguese Studies, Dr Teresa Araujo. Students from the University of Georgia, Athens. Photo courtesy of Sizen Yiacoup. Looking for some end of semester TV? 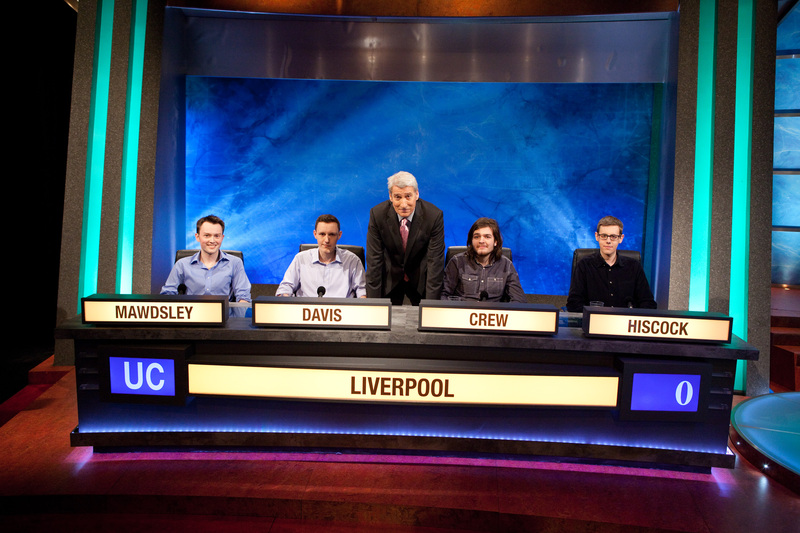 Tune in today and watch Hugh Hiscock, a first-year PhD student in French Studies, on the University of Liverpool University Challenge team. They won their first-round event on the 1st of September and are back in the second round. Join us in cheering on Hugh and the team! Thinking of studying Italian? 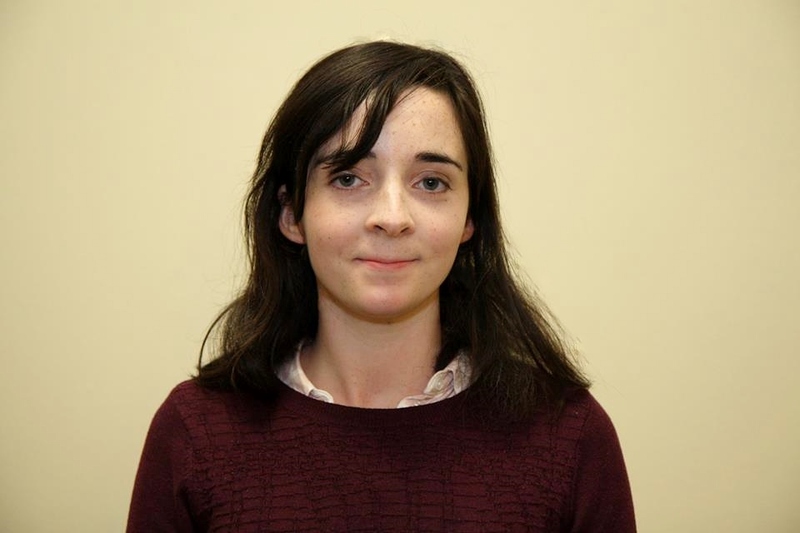 Take a look at this video featuring one of our finalists, Eleanor Bermingham. 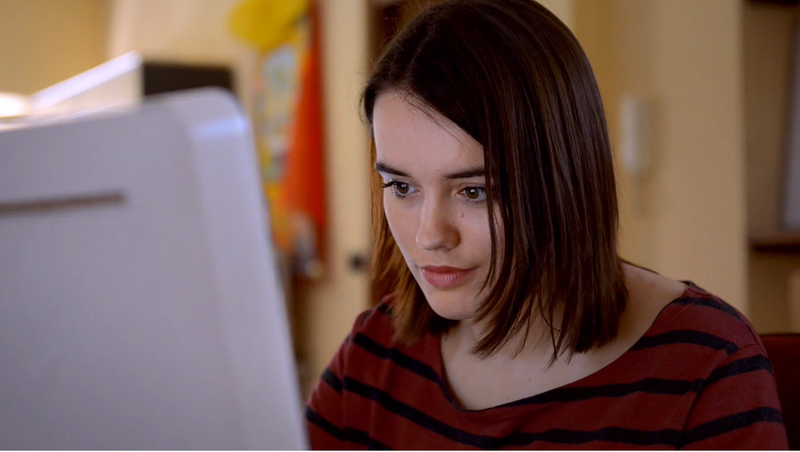 She and other students and graduates explain why Italian is the language for them and how they got the most from their year abroad. Here’s what she had to say about her time in Italy. I was an intern at an organisation called Slow Food, whose aims, as you might imagine from the name, are to slow down the increasing industrialisation of our agriculture and to fight the presence of fast food as a staple in our daily lives. The organisation is based in Bra (always fun to explain), Piedmont, just an hour south of Turin, where its founder, Carlo Petrini, grew up, and where Slow Food has its international and Italian headquarters, as well as its publishing and promotions offices. Globally, Slow Food is present in over 150 countries, and is a members’ association. I was working in the International Communications Office with a team of colleagues from places as diverse as Germany, Kenya, Australia, etc. Working from 9 to 6.30 was a harsh call to the reality of working life after a laid-back university timetable. But, I won’t lie, the hour and a half we were allowed for lunch was sweet. I got to work on translations and editing of all different types of Slow Food texts: printed materials, online content, and even emails corresponding with the members in India! Also, as the baby of the office, I was invited to work on Slow Food Youth Network, the branch of young food activists who I believe make the topic of food relevant, and even, dare I say it, cool. For me, this was an extreme learning curve as I knew little about the world of food before my time at Slow Food, and, now, I could give anyone a lesson on oyster farming! Food is a far more complex subject than many realise, tapping into history, politics and enterprise. Italians are always looking for people to join the debate, and Slow Food was an extremely interesting place to start. Understanding and speaking Italian was key to getting the most out of my work placement and founding lasting friendships. I got to visit various parts of Italy too! Rome, Verona, Lucca, Milan and Padua… to name a few. Italy is rich in culture, each place has a unique history, and there is always something delicious to nibble on. I couldn’t recommend spending a year abroad in Italy more; it boosts your confidence, employability, and your waistline! Along with Dr Tim Lockley (University of Warwick) and Dr Karen Salt (University of Aberdeen), Dr Kate Hodgson recently spoke on BBC Radio 4’s ‘In Our Time’ programme hosted by Lord Melvyn Bragg. The subject of discussion was the Haitian Revolution (1791-1804), a notoriously “silenced” part of world history as the only slave revolt ever to achieve the permanent overthrow of the white planter class and the establishment of a new state by former slaves (Trouillot, 1995). 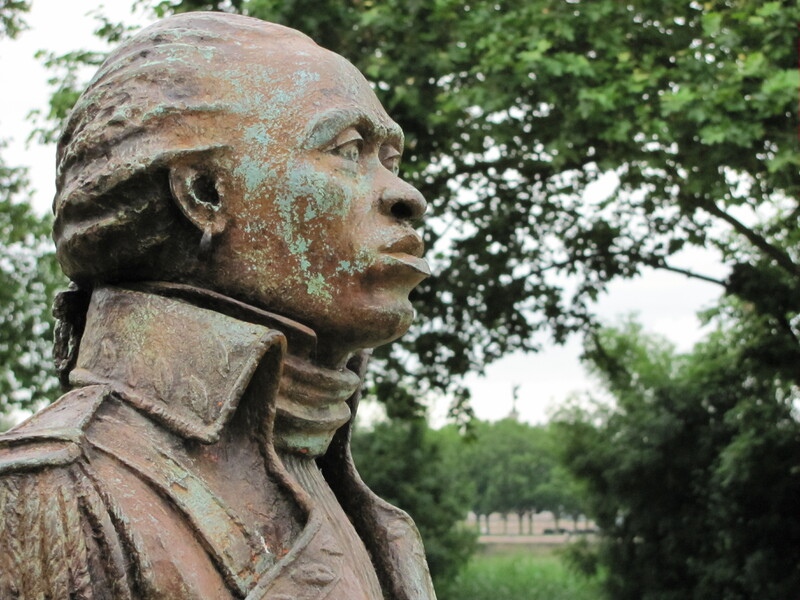 The rich colony of Saint Domingue, with a population of half a million enslaved Africans, was already in turmoil in 1791 due to the impact of events in France when a massive slave-organized revolution broke out that turned Saint Domingue upside down, forced the French to concede the universal abolition of slavery (1794) and, after an attempt by Napoleon Bonaparte to re-establish colonial slavery in 1802, eventually drove the French out of the newly re-named Haiti for good. Dr Hodgson is currently working on a British Academy-funded project entitled Haiti and the International Politics of Anti-Slavery. The project examines Haiti’s continued opposition to slavery and the slave trade after 1804 in a global context which had normalized both. 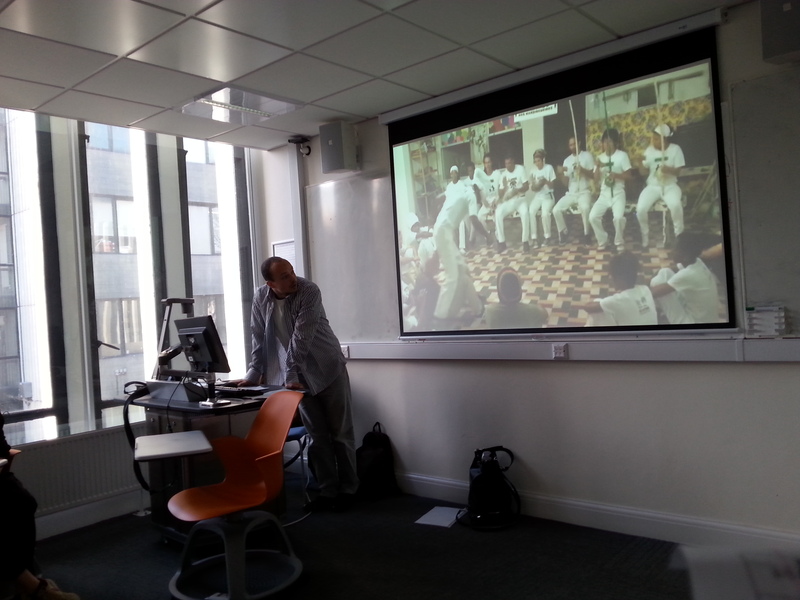 Engaging with the international politics of anti-slavery became a way for Haiti to promote its national interests abroad and strengthen its own post-colonial identity, as Dr Hodgson’s research shows. The first output of this new project appeared in 2014: ‘Internal Harmony, Peace to the Outside World: Imagining Community in Nineteenth-Century Haiti’ in Paragraph (37:2). Dr Hodgson also has an edited collection forthcoming with Liverpool University Press entitled At the Limits of Memory: Legacies of Slavery in the Francophone World (2015). 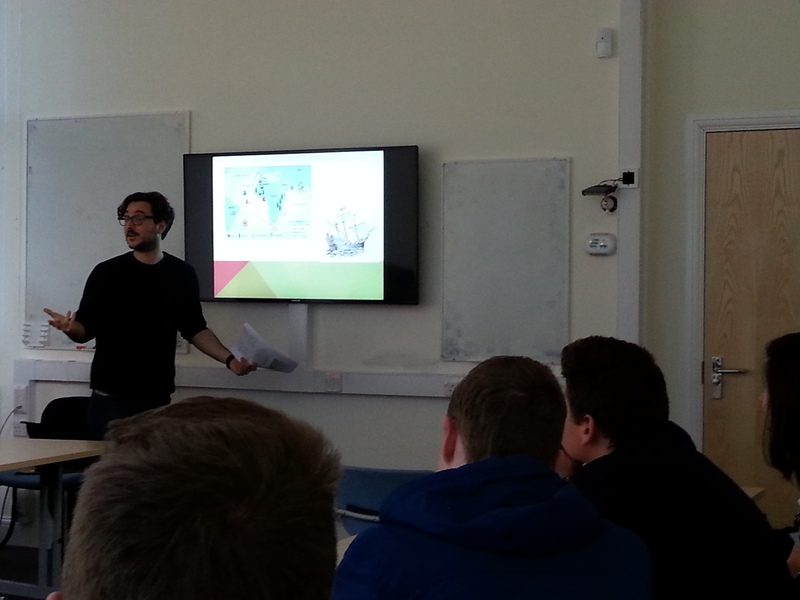 Dr Hodgson will also be teaching in semester 2 on the subject of representations of the Haitian revolution in the final year comparative module MODL301 – CARIBBEAN CONNECTIONS. 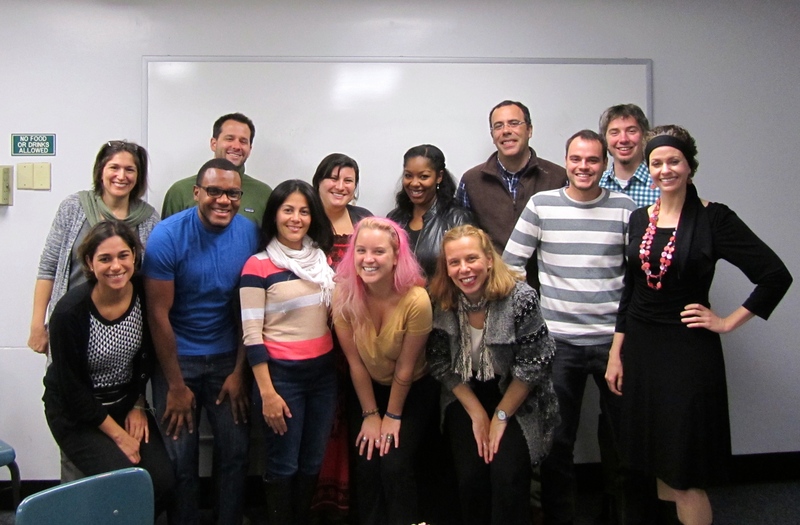 The course is open to all finalists in Modern Languages & Cultures. The University of Liverpool has recently joined several other universities across Europe in having an EU Careers ambassador on campus to promote jobs within the EU. The program is run by EPSO (European Personnel Selection Office), and aims to inform students of the opportunities that exist within the EU and how to approach the application process. 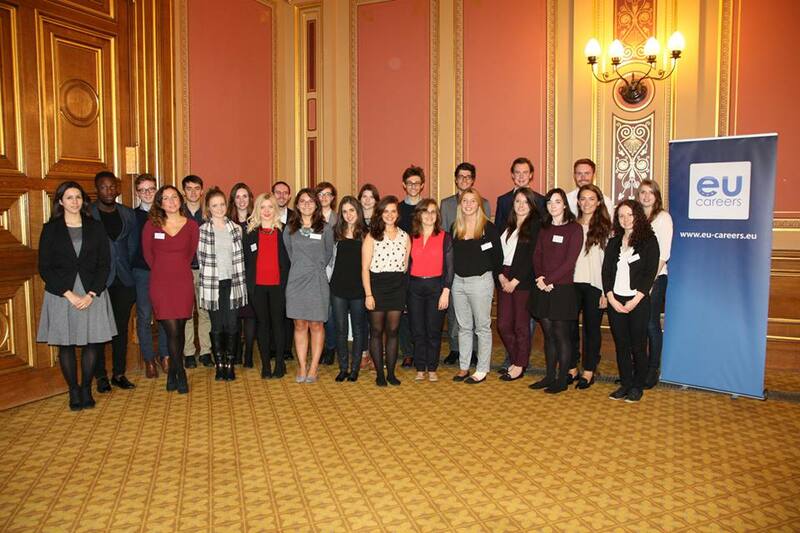 The current EU Careers Ambassador at the university is Megan Williams. She will be hosting events throughout the year to inform people of careers within the EU, through presentations, drop-in sessions and some more informal events (i.e debates on the UK and Europe). She is currently promoting the Languages Undergraduate of the year competition run by Target Jobs and supported by EU Careers. All languages students studying French or German are encouraged to apply for this prestigious award, the winner of which will receive a trip to Brussels to meet top policy-makers and see how the institutions function on a day-to-day basis. Follow this link for more information. She will also be available from 12-3pm on Thursday 11th December in the guild to inform students about the paid traineeships offered by the institutions of the EU, followed by an online Q&A with an official from EPSO. In this exciting event, Roger Wright, Vintage Radio DJ and former Professor of Spanish at the University of Liverpool, played requests for Spanish, Portuguese and Latin American music live during his two-hour show as part of our Iberian Week, on Wednesday 15 October, 12.00-2.00pm. The response to the radio show was fantastic! We had great feedback from listeners who told us how much they enjoyed it. If you want to hear the show again, it will be re-broadcast on New Year’s Eve, Wednesday 31st of December. 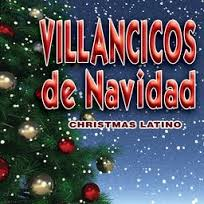 Todos están muy bienvenidos este miércoles 3 de diciembre 2014, a las 7.30 de la tarde, al concierto anual de villancicos, organizado por El Círculo de Español de Liverpool. El concierto toma lugar en la iglesia de Our Lady and St. Nicholas, ubicada en The Strand / Chapel Street, frente al Liver Building. Después nos reuniremos todos para tomar un brindis en el pub ‘The Cornmarket’, cerca de Fenwick Street. Vengan con sus amigos y familiares para pasárselo bien cantando, socializando, o simplemente disfrutando de la música y el ambiente alegre. No hay costo de entrada, pero se recolectarán donativos para la guardería de niños ‘Westnell’ en el Perú, proyecto apoyado desde hace muchos años por El Círculo. 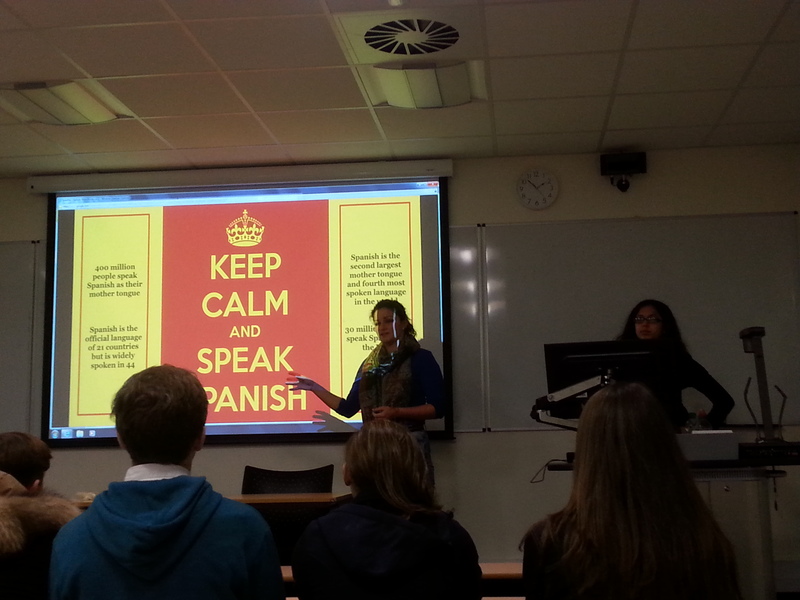 The Liverpool Spanish Circle is a long-standing social group in the city for people who speak Spanish, whether as a mother tongue or second language. The aims are to make friends across cultures, share experiences of the Spanish speaking world, and keep Spanish language skills alive. The circle started nearly 30 years ago, offering hospitality and support to seamen arriving into the port of Liverpool. Its annual carol service in Spanish is held on the first Wednesday in December at the church traditionally known as the seamen’s church, Our Lady and St Nicholas, situated on the Strand / Chapel Street, almost opposite the Liver Building. You can follow El Círculo de Español de Liverpool on Facebook. Christmas carols from the Spanish peninsular have a much more regional flavour linked to local folk music traditions. Want to get some practise in first? Gem up on some well-known favourites here …. 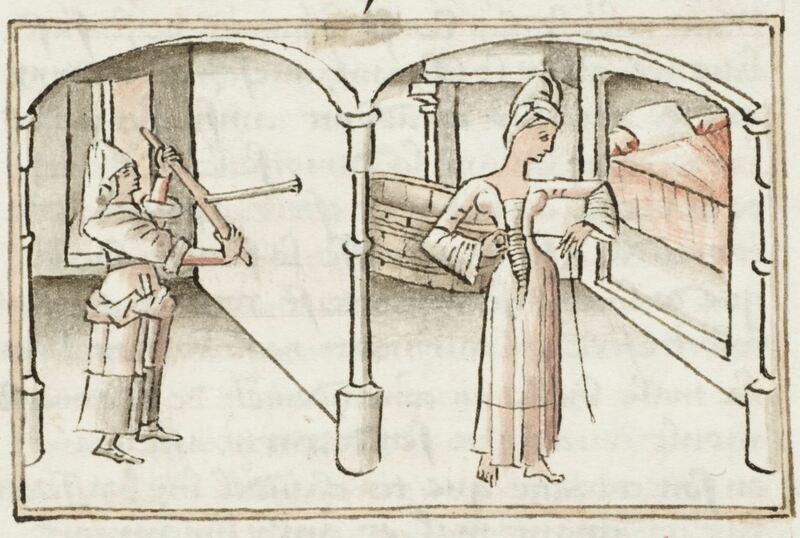 Tuesday 2 December 2014 Liverpool Centre for Medieval and Renaissance Studies Sight, Sin and Sexuality in Sixteenth-Century France Speaker: Graeme Murdock (Trinity College, Dublin) Please note change of venue: this event will now take place in the Walbank Lecture Theatre, first floor, 12 Abercromby Square. Wednesday 3 November to Monday 8 December 2014 Feminisms in the Digital Age: Transnational Activism in Germany and Beyond “Feminisms in the Digital Age: Transnational Activism in Germany and Beyond” is a digital lecture series that explores the political impact of feminist activisms in the 21st century. In five lectures and a concluding roundtable, we interrogate the digital interface of transnational protest movements and local activism in feminist politics. The lectures take contemporary German protest culture as a case study for the manner in which transnational feminist activism intersects with the national configuration of feminist political work. We explore how movements and actions from outside Germany’s borders circulate digitally and resonate differently in new local contexts, and further, how these border-crossings transform grass-roots activism as it goes digital.